Durango, Colorado has been known as the best place to find Silver Turquoise Jewelry in the Four Corners Region. There are several Turquoise Jewelry manufacturers and dealers that are very hospitable and will give you a warm welcome. Durango Silver Company is the leading producer of high quality Silver Jewelry and Turquoise Jewelry in Durango. They have been at the same location since 1976. 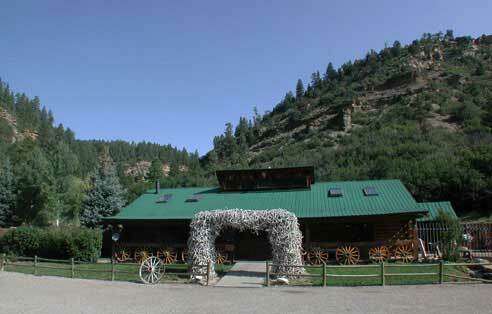 They are located 4 miles west of Durango, Colorado on Hwy 160. Look for this historic location that includes a Deer Antler Arch with over 3,600 shed deer antlers in front of a beautiful log lodge type building. There, you will find exceptional Handmade Gold and Silver Jewelry with American Turquoise and other fine quality Gemstones of the Southwest. Make certain to allow time to visit Durango Silver Co when traveling to Durango from Mesa Verde.